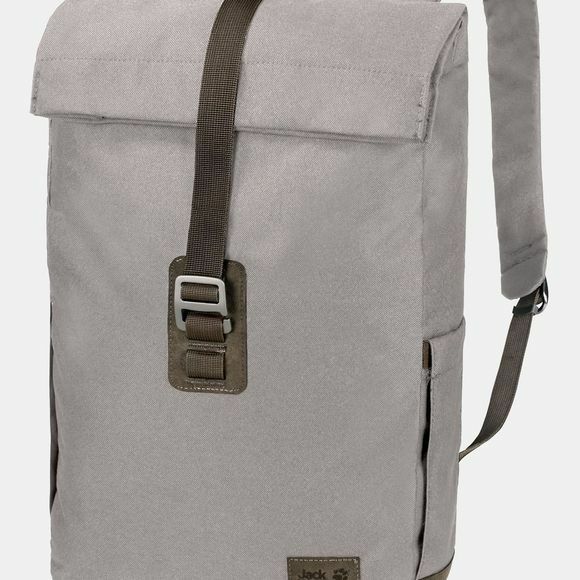 The Royal Oak Bag from Jack Wolfskin is a stylish little day pack that's definitely worth a second look. The Royal Oak is a great choice for travel, town and trail. This is a classic top-loader pack with a large main compartment, a front pocket for small items and two handy side pockets. Like all the packs and bags in the Seven Dials series, the Royal Oak is made of hard wearing recycled fabric, with a synthetic suede base and detailing.